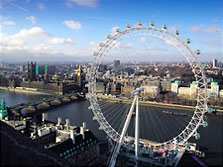 Get an overview of central London and its principal attractions from the comfort of a car, perhaps visiting one or two sights as the fancy takes you. Or walk and take buses. 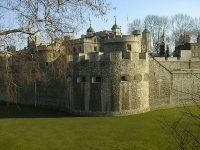 On a typical half day tour around London you could see Big Ben and the Houses of Parliament, Westminster Abbey (coronation of Kings and Queens of England since 1066); Trafalgar Square and Piccadilly Circus; Royal Kensington and St James’ Palace, Tower Bridge and The Tower of London (spectacular Crown Jewels). There might be time to see the Changing of the Guard outside Buckingham Palace or at Horseguards. St Paul’s Cathedral (only 560 steps to the top of its dome for spectacular views over London!). In this special year 2012 – visit to the Olympic Park area -see where the London 2012 Games will take place. Extend this to a full day and you could visit The Tower and the cathedral or one or two of London’s many museums and galleries such as the National Gallery of Art (13th century to early 20th century European painting), the British Museum (from Egyptian Mummies to early Celts via ancient Greece), the Cabinet War Rooms (unchanged since used by Sir Winston Churchill as Prime Minster during World War II), or Madame Tussaud’s Waxworks (have your photo taken with the famous and notorious). Just a few miles downstream is Greenwich, the home of time, and the prime Meridian. The choice is yours.If daytime is unavailable or simply too precious for shopping etc. take a Evening Panoramic Tour. 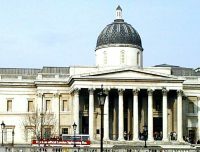 You choose: concentrating on any century or style you wish, on domestic or commercial architecture, or simply a tour of London with special reference to architecture. Your choice! Or tell me your a rea of special interest, I will devise a programme to show you either the highlights of some of the major museums in your allotted time frame, or a number of small specialised places or spend more time concentrating on one or two collections. Let me delight you with some of London’s fabulous and lesser-known collections too! Such as the exquisite gems of Sir John Soane’s House, Leighton House, or the Courtauld Institute and Gilbert Collection at Somerset House. In the evening, or after your meetings, relax and enjoy a different side of London after a busy day’s work. Take an evening tour, stop off in interesting pubs, eat in a good local restaurant. Partners:Let me look after you while your travel partner is engaged in business. Whatever you wish: sightseeing, gallery visiting, antiques hunting, markets or shopping. Chiswick House. One of England’s finest Palladian villas, designed by and for the third Earl of Burlington. William Kent designed the sumptuous interiors. A city for the 21st Century! Just East of Tower Bridge, an area of 8.5 square miles, previously the throbbing commercial centre of the Port of London, became increasingly forlorn and derelict as the London docks began to close in the 1960s. The last dock closed in 1981 leaving the area in deep economic and social decline. 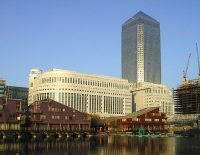 A massive regeneration programme has ensured a major transformation, including striking new architecture, and the UK’s tallest building (800 ft) at Canary Wharf. An extraordinarily vibrant mixture of the historic and the new, the 15th C riverside smugglers pubs, the old warehouses, the marinas, the vast open docks with their watersports, some remaining cranes and the striking new commercial and residential buildings. Makes a great morning or afternoon tour, or make a day of it by combining it with a visit to Historic and Royal Greenwich just across the river Thames. See London by night on a panoramic tour, with an optional visit to a charming pub. You can see many of the beautifully lit up buildings at night in a short time due to reduced traffic. Dinner already arranged? Take a tour and I will drop you afterwards at the restaurant of your choice. 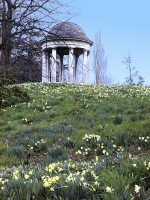 Thanks to our temperate climate, the gardens of Britain are among the finest in the world. All kinds of gardens are open to visitors, dating from the 16th C to the present day. 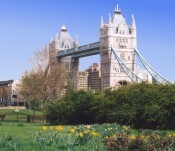 Visits to private gardens can be arranged with some notice.Lovely parks and gardens to visit in London include:Chelsea Physic Garden, the Society of Apothecaries old medicinal garden, Royal Botanic Gardens, Kew: 300 acres of landscaped gardens with over 50,000 types of plants, magnificent conservatories, Kew Palace, Museum of Garden History, in a church opposite Parliament, The Royal Parks of London, including Queen Mary’s Rose Garden in Regent’s Park, St. James’ Park, Kensington Gardens Richmond Park with its deer. A personal favourite. Shopping for food, or just ogling! Gourmet heaven in London! Drool or buy in all kinds of speciality shops and some big stores for various goodies. From traditional tea and coffee stores, wine and spirit merchants, through specialist cheese shops to delicatessens from a variety of countries, bakers and food markets. London has changed so much: you can eat superbly well here! PLUS tried and tested restaurant, café and bar recommendations. Restaurants of all nationalities and styles to suit all pockets. A short drive South East from the centre of London to the home of TIME! A UNESCO World Heritage Site: maritime and Royal connections since 14th C. See the restored 17th C Queen’s House, the Royal Observatory (through which the Greenwich Meridian passes) and the superb Royal Naval College with its Painted Hall ceiling, largest after the Sistine Chapel in the Vatican, stunning views of London from the top of the hill in Royal Greenwich Park . The National Maritime Museum and the 19th C Cutty Sark tall ship, once the fastest tea clipper in the world and much more! Arts and crafts market three days a week. A full or half day exploration of the 1000 year old history of the Jews in London and England right up to the present day. See and hear about the Jewish side of London. Anything from a walk in the historic East End district, a walk in or drive through the City of London (now the financial district) where Jews settled in the year 1066. Visit major Synagogues of differing styles and periods, including the stunning Bevis Marks Synagogue (dating from 1701 and still in daily use), Jewish Museums, and other areas of Jewish interest. London is unique in being the only city to host the Olympic Games for the 3rd time! Explore the Olympic Park area, see the fabulous stadium, aquatic centre and other buildings; see the legacy and vibrant newly redeveloped area of London. Royal Botanical Gardens, Kew: 300 acres of landscaped gardens with over 50,000 types of plants, magnificent conservatories, including the Palm House and the Princess of Wales Conservatory. Explore a key developing area of central London along the Thames riverside: the new Tate Modern Art Museum in an ex-power station, old sailing ships, old markets, a cathedral connected to Harvard, 14th C palaces, stunning views of the City of London, Shakespeare’s New Globe Theatre, the Clink, ancient pubs, a 17th C galleried coaching inn. With its 2000 year old history, one of the most fascinating stretches of the river in London. The city holding the future of London for the 21st Century! East of Tower Bridge, an area of 8.5 sq. miles, previously the throbbing commercial centre of London’s port, went into deep economic and social decline. Now a vibrant, colourful mixture of the historic and the new, the 15th C riverside smugglers pubs, the old warehouses, the marinas, the vast open docks with their watersports, some remaining cranes and the striking new commercial and residential buildings. Route 1: through old Wapping and Shadwell towards the new Docklands developments, pausing if desired in a riverside pub. 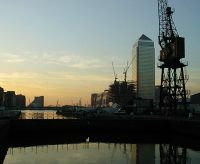 Route 2: partly on foot, and partly using the above ground Docklands Light Rail system, a more extensive tour of the Docks than possible on foot only.